Instead, we did something a little different. Something more in keeping with our money-saving, life-enhancing mission. Starting this year, every Access employee will be reimbursed up to $500 annually for personal travel expenses. In other words, we’ve told our employees to get out – and get away. Why did we do it? Because not only do we take pride in our copious holiday and PTO policies, we wanted to send a clear message to employees TO TAKE THEM. And we think other companies should, too. Just look at the data. What Do Employees Want? #1: A Life. #2: To Travel. A recent report revealed a paid-for vacation was the top way employees prefer to receive bonuses other than cash. Yet, too often, employers stand in the way of their employees taking any time off. And with research suggesting employee burnout could be responsible for up to 50 percent of turnover, employing over-worked, under-charged workers can be downright dangerous in some industries. A majority of consumers claim cost is their top barrier to vacation when, in fact, the data says otherwise. Last year, individuals who ranked cost as the number one obstacle actually traveled at a slightly higher percentage (53%) than the overall average (52%). In reality, work-related matters sit at the forefront of reasons more people don’t travel – with the number one hang-up being a fear of returning to a mountain of work. This was followed by fear of being seen as replaceable, wanting to show job dedication and being part of a company culture that discourages time off. Experts agree that generous amounts of PTO and a culture that encourages its usage are among the most influential perks in keeping their employees happy and engaged at work. Yet despite the direct benefits of vacation for organizations and their individual employees, an inordinate number of days are going unused. In their most recent State of the American Vacation, Project: Time Off reported that over half of Americans left PTO on the table at the end of 2017. And as a result, too many workers are at an increased risk for burnout. So just what can some time away from the daily grind do? 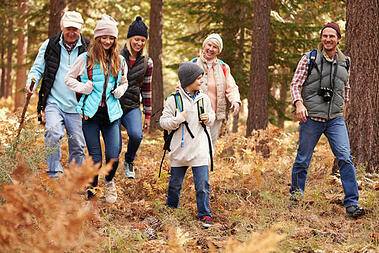 Research suggests travel is good for your health in more ways than one. Both men and women who vacation regularly enjoy better cardiovascular health than those who travel only every five to six years. In addition, the hiatus from everyday life leads to better sleep and less stress. On top of physical benefits, vacation is often a source for improved mental health. A number of studies indicate many people find more joy spending their money on experiences rather than things. These experiences have proven to enhance creativity, strengthen relationships and boost overall happiness not just while on vacation but after returning to work as well. A variety of studies indicate that, in many cases, vacationing employees are great for the bottom line. In fact, one study, conducted by Project: Time Off, found the best workers are those that utilize the majority of their vacation time. Of employees who used fewer than 10 of their vacation days per year, 34.6% received a raise or bonus over a 3 year period. Meanwhile, 65.4% of those who took more than 10 days off received a raise or bonus. Employees who take time away to recharge return to work with more energy and innovation to invest in the company’s success. 70% of employees who regularly take a week-long summer vacation say they’re driven to contribute to their organization’s success, compared with 55% of those who don’t. Of course, not every employer can afford to send its workforce on a trip each year. It’s a little easier for us, thanks to our employee discounts with hundreds of thousands of providers worldwide. But if travel stipends don't fit within your benefits budget, there are certainly other effective strategies to get your workers on vacation. While being down an employee isn’t ideal for production, neither is having a bogged-down workforce. In order to maintain optimum productivity levels, employees need breaks. Whether it’s distributing their workload among teammates or sending tasks to their manager while they’re out, each employee should know the company has a process for handling procedures during their time away. Managers ought to lead by example – and showcasing a healthy work-life balance is no different. I had a leader early in my career that spoke openly about his life-enhancing vacations and then would encourage me to save for similar trips. Those conversations went a long way in helping me understand I had his full approval in using my PTO to unplug. 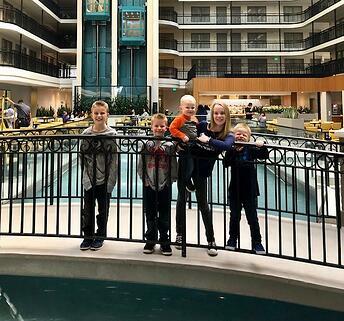 A leadership team that rarely steps away from the office creates a culture where employees fear escaping for their own personal R and R.
Last month my family and I saved over $40 a night at our family's favorite Southern California hotel with my company discount program. We secured rates significantly lower than other popular online travel booking engines advertised, and I had my employer to thank for it. Employers can help soften the financial blow of vacations by negotiating discounts to help make trips more affordable. 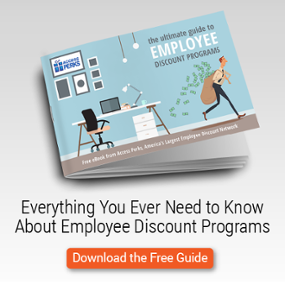 Whether through a formal employee discount program like Access Perks, or direct relationships with travel vendors, these savings can make a huge difference for employees. It’s fairly common for companies to sponsor trips for sales professionals who meet or exceed their annual quotas. However, travel rewards don’t need to be restricted to sales divisions. And they don’t need to include an entire trip. For example, my husband’s company holds sporadic contests or events where winners earn a free night in a hotel of their choice. They also reward superior performance with a couple extra hours of PTO every once in a while. This tactic encourages total focus while in the office by issuing incentives that provide meaningful experiences away from work. Sometimes to really appreciate what we have, we need to spend a little time apart. A remarkable 87% of employees who plan vacations ahead of time report being happy with their workplace. Companies that provide ample PTO along with tools and resources to make vacations possible set themselves up for the best relationships with their employees. For a more in-depth look at the topic, check out the “PTO and Time Off” section of our Employee Benefits and Perks Statistics page.